A team of researchers from Australia and China has changed a variable used in an equation to project precipitation as the climate changes, and in so doing, has found that the planet may not become drier as many have suggested. In their paper published in Nature Climate Change, they explain their rationale for changing the variable and why they believe the equation now better represents reality. Jacob Scheff, with the University of North Carolina, offers a News and Views piece on the work done by the team in the same journal issue. Climate scientists have been debating among themselves what will happen as the planet warms. In addition to changes in temperature, there are likely to be changes in weather patterns and precipitation. One thing they have not been able to agree on is whether the planet will experience more or less precipitation. 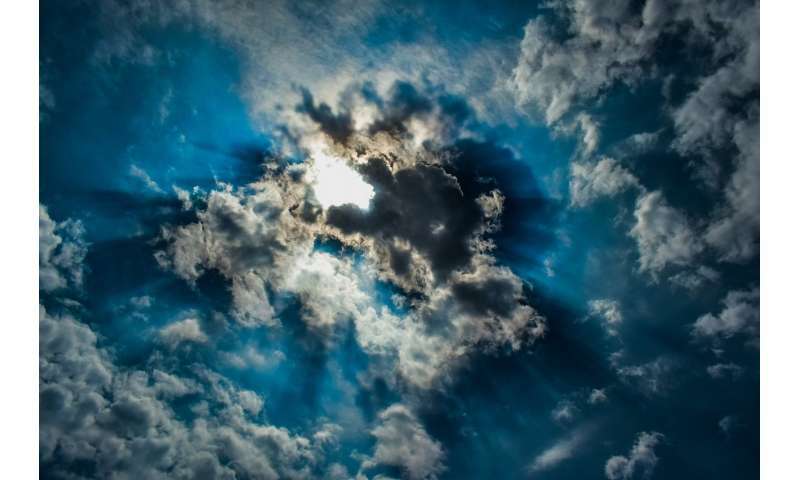 In this new effort, the researchers suggest that an equation widely used to help predict changes in weather patterns and precipitation levels is flawed because researchers have failed to properly use one of its parameters. Scheff explains that the equation, the Penman-Monteith equation, uses temperature, surface radiation, wind speed and humidity as inputs. As one factor changes, such as temperature, changes can be seen in the others. But, he notes, many who use the equation have failed to take into account the closure of leaf stomata in plants that occurs when carbon dioxide levels increase, resulting in less evaporative loss. The equation allows for this with a parameter that permits inputting surface resistance to evaporation in non-arid locations. Many have simply been setting it to zero. The researchers argue that doing so has caused erroneous results that suggest an increasingly drier planet. They found that allowing this parameter to depend on carbon dioxide changes allowed accounting for leaf stoma closure. They report that using the equation in such a way showed that the planet is likely to experience more precipitation in some areas, less in others and that some areas may remain unchanged—a finding that would appear not only more logical but in line with several other theoretical models. "just make it up as you go"
Yup, that is the denialist plan. Science on the other hand continues to advance.